It dominates the skyline of the park. You can see it for miles around, and it’s only going to get bigger! 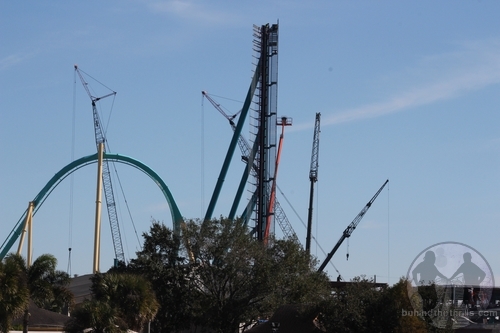 Construction on Mako, SeaWorld Orlando’s biggest and newest roller coaster continues. We take a walk around the park this week to see just how far the coaster has come, and some other little changes in the park. 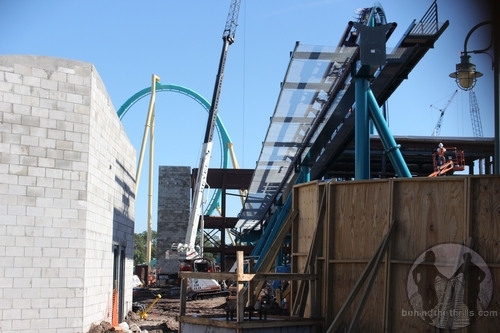 So, Mako is on schedule for it’s “Summer” opening date. 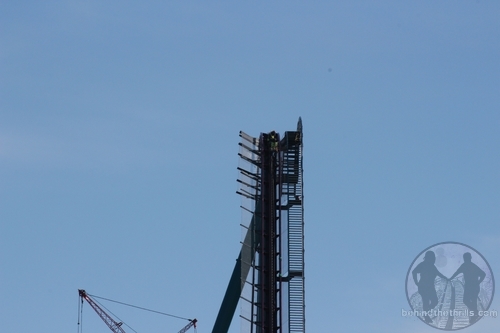 The coaster is soaring over the park, and is about to get serious, as the track is looking like it’s almost done being assembled in the back portion of the park. 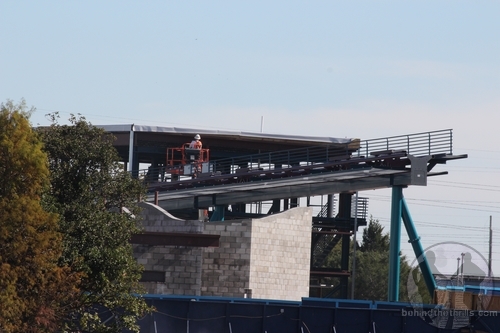 Video-Walkthrough Mako and other SeaWorld Projects! 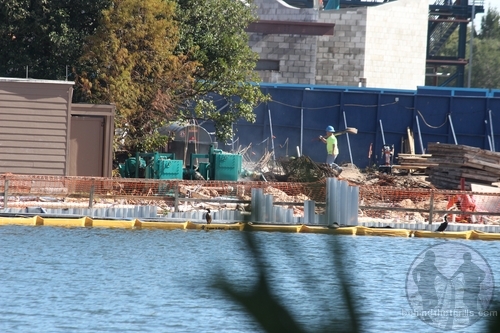 The next portion of the coaster will have the track coming across the pathway, and over the water, as the coaster gets ready to complete it’s circuit. If you’re not in the know about Mako, it will be themed to the fastest shark in the ocean, and will be the tallest, fastest, longest coaster in Orlando. It will measure 200 feet tall, and while it will not flip you upside down, it will definitely provide you with enough “airtime” to bring you out of your seat for an amazing ride. The new coaster will also be accompanied by a new Shark Realm, which will put you in the world of the sharks with an amazing shipwreck, as you prowl your way to the coaster. The new coaster doesn’t have an official release date, but the solid date that we are hearing is Memorial Day Weekend for a grand opening, and a soft opening just a few days before. 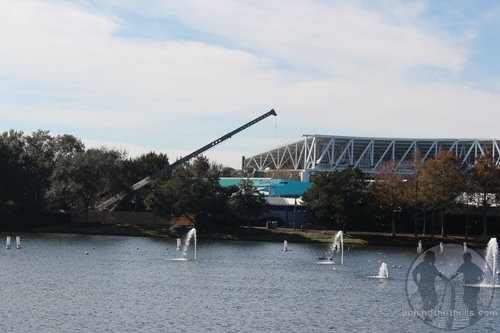 The other major construction project in the park is happening at Shamu Stadium, or rather behind it. Crews are working to remove the rising floor from the tanks. This was announced a few weeks back. The floor was supposed to be able to rise quickly to allow crews help a trainer in distress if there was ever another attack. The trainers really haven’t been in the water with the animals. The floor has been a needless expense, but one that was necessary if the trainers were ever to get back in the water. 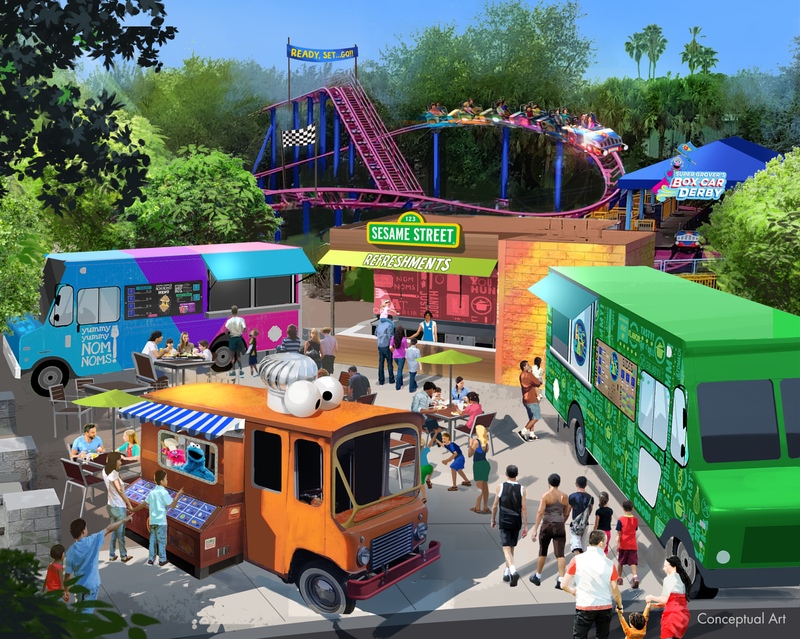 Either SeaWorld has abandoned that idea, or they are preparing for the massive Blue World Project that will expand the Whale’s habitat immensely. Elsewhere in the park, the winter months are generally used for downtime and upgrades. 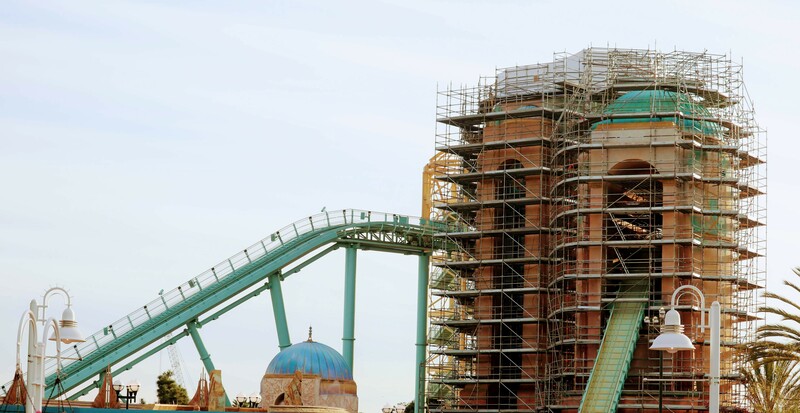 Journey to Atlantis is down for it’s annual maintenance, while other projects are springing up all over. New paint, new shops and new upgrades are getting ready for this summer, when Mako promises to bring in massive new crowds. If you’re not an annual passholder, then one benefit you’re missing out on is Passholder’s Lounge. 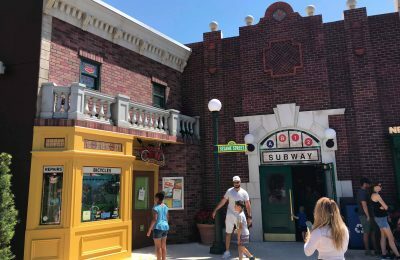 The lounge opened late in 2015, and brings passholders a special place to grab a drink, some food, specialty merchandise and even charge their phones. 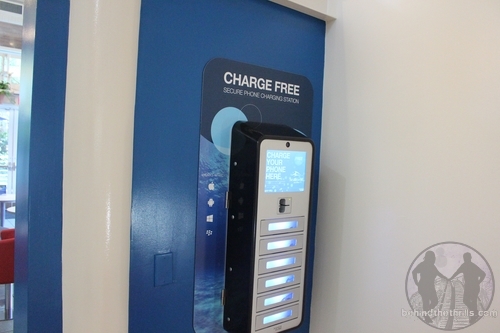 The lounge has added a new charging station, which requires a credit card, but gives you a few minutes of charging for free. No idea why the credit card is used, but we tried it, had a small charge appear then disappear…so it is free. 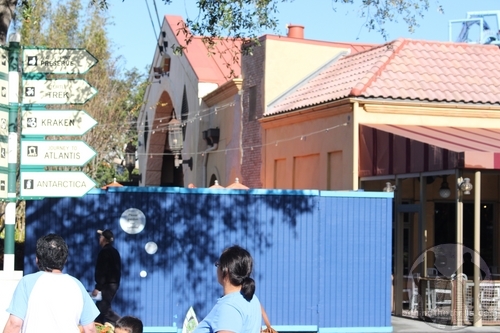 Previous PostThe beast returns as Incredible Hulk construction continues at Universal Orlando Next PostChinese Tradition and Universal Magic Transform Universal Studios Hollywood for Lunar New Year!